Elections, in general, come with a cost, to state exchequer political parties and candidates. Election Commission of India spends a lot of money to conduct free and fair elections to safeguard our democracy. In the 2014 Lok Sabha Elections alone, INR 3,426 Cr was spent by the government, a substantial increase from the 2009 Lok Sabha Elections, INR 1,483 Cr was spent. The high cost of elections is one of the main reason for illegal/black money to be pumped into to the system to be able to woo the voters. Money is spent to woo voters in all forms of elections – ward level, assembly constituency and Lok Sabha constituency. Spending crores of rupees by the candidates contesting elections has become synonymous with the contesting elections. Political parties have often given tickets to leaders who can spend money an edge while deciding who gets to contest from their party. Political donations received by all the political parties are the source of their election expenditure. Section 29B of the Representation of People Act, 1951 —Subject to the provisions of the Companies Act, 1956 (1 of 1956), every political party may accept any amount of contribution voluntarily offered to it by any person or company other than a Government company. Section 29C of the Representation of People Act, 1951 says that political parties are required to submit contribution details received more than Rs 20,000 from any person or a company. The contributions received by the political parties are however are mostly from sources that cannot be identified.Based on an Association for Democratic Reforms report of the sources of income of national parties published during 2016-17, more than 71% of political donations are from unknown sources. In an effort to reduce the amount of black money in the system for the elections, the successive governments have attempted to channelize clean cash through transparent political donations from citizens and businesses. In the new amendments to Finance Act 2017, it has brought a set of new reforms to the political donations through electoral bonds and other measures. 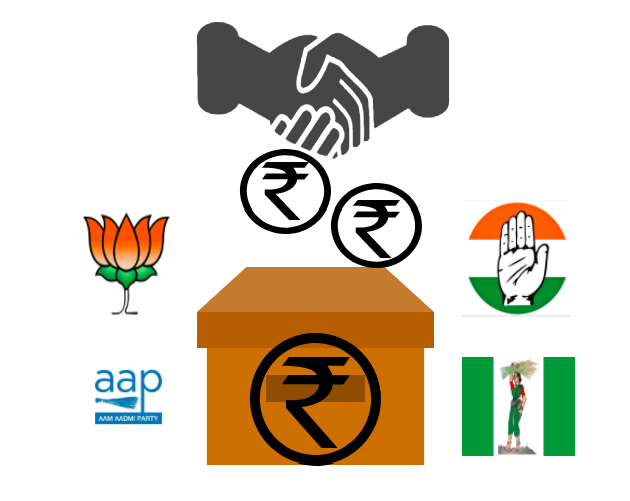 The limit for cash donations to political parties from Rs. 20,000 to Rs. 2,000 and corporations to refrain from giving cash, requiring them to donate through cheque or digital payment. This brings in more accountability and traces the money trail better. An attempt is being made to ensure the transparency is increased through legitimate transactions through the banking system with a transaction trail. What is an Electoral bond? – A donor[individual or corporations] can purchase electoral bonds from a specified bank only. He/She would have to disclose in the account on the number of political bonds purchased. The validity of the electoral bond is only for 15 days. A bond can only be encashed in a pre-declared account of a political party. Every political party while filing its returns has to disclose the number of donations it has received through electoral bonds to the Election Commission. Moving from a cash-based donation system, this will allow the level of transparency more as it makes money move through the system which can be accounted for at all times. 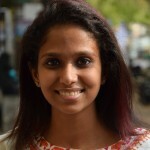 In cash donation system, there is no way of getting an idea of how much money is being received or how it is being spent as opposed to the electoral bonds where all donors declare in their accounts the number of bonds that they have purchased and all parties declare the quantum of bonds that they have received. There are a few kinks in the new system as well. The threshold donations for cash has to be set. Public disclosure has to be mandatory, or the system fails like every other reform. The amendments allow unlimited corporate donations to political parties and anonymous financing by Indian and foreign companies. By removing the cap on contributions by companies, it has legalized anonymous contributions, the previous limit of 7.5% of the company’s average three-year net profit for political donation without having to disclose the name of political parties they were funding. These reforms will bring in some of the changes we aspire to see in the area of bringing clean money into politics, with a long way to go to make it completely effective. They have to be complete solutions to the problem and not half-measures that can be gamed by political parties and donors. Second Administrative Reforms Commission, 2007 – A system for partial state funding should be introduced to reduce the scope of illegitimate and unnecessary financing of expenditure for elections. There are tremendous effects of curbing the amount of black money involved in the elections. It has been long standing reason why competent, able and well-meaning candidates not being given the opportunity to contest elections. A good tax paying honest citizen aspiring to contest elections will not be able to shell out as much money as a person with influence and black money at their disposal can. Although political parties might think that they can win elections by soliciting money for votes, We as citizens have to ensure that this is not carried out as easily. We must discourage fellow citizens do not accept cash for votes from any parties. We should ensure that clean money is brought into the political system. This is a long road ahead for a complete change to bring into the system, but we must start somewhere. We must urge the political parties to give the deserving candidates a chance to contest elections regardless of the money power they have. This is vicious cycle we have in our democracy. A politician cannot contest without money power as they think they have to buy a democratic right from his voters. To make up the amount of money spent in the elections he indulges in corruption, this affects the quality of infrastructure and governance. And the cycle goes on. We must remember that the money given to voters will cost more to our democracy and our society in the long run. We must take small steps towards reducing this. We have to donate to the political parties that we think will be better in power, it does not matter how much we donate, but that we donate even if it as much as the worth of one cup of coffee.